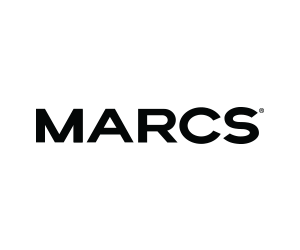 MARCS Home for men's and women's designer fashion, shirts, dresses, pants, shoes, bags, jackets, designer handbags, knitwear and accessories. Some retailers have their own policies and restrictions. Before shopping, please ensure you review the Special Terms of Marcs (above) for further information. Complete your purchase in one session and without leaving Marcs. Do not click on any bookmarks or advertising banners or links once you leave ANZ Bonus Points Mall. Free delivery to Australia & New Zealand on orders over $100. We use Australia Post for all standard deliveries in Australia. Orders may take up to two business days to be processed & dispatched within Webster Holdings (with the exeption of weekends & public holidays). Free Returns within Australia. We will gladly accept returns within 30 days of receipt, any item purchased from the Marcs online store that meets the criteria of our online returns policy. You can return your item(s) purchased online to us by post or in person to our standalone stores. We request you include your original receipt/invoice with your parcel. Due to hygiene reasons we are unable to accept returns for swimwear, earrings and hosiery, unless they are faulty or have been sent to you by error.